Whether you're a teenager or a grandmother, everyone wants to look and feel their best, but as you age, it's advantageous to choose makeup lines for mature skin because they address the needs of aging skin, for example fine lines and loss of moisture. The biggest factor to making up mature skin is foundation since it directly sits on skin and can either exacerbate fine lines and wrinkles or help diffuse them. Formulas should be very moisturizing, as it can help plump and fill in lines and wrinkles. Luckily you often don't have to look any further than your local drugstore to find a great makeup line for mature skin. Theses foundations contain skin-care ingredients that not only help mask the signs of aging, but also help reduce them, all while providing a creamy, flawless finish. CoverGirl Simply Ageless is a line a foundation, concealer, blush and primer that is infused with ingredients from anti-aging line Olay Regenerist. The foundation contains SPF 22 to protect mature skin from incurring sun damage and stays suspended over fine lines and wrinkles, which helps soften their appearance. The Sculpting Blush helps define cheekbones and facial contours, while vitamins and antioxidants improve skin's texture and tone. The concealer and color corrector help brighten dark shadows under the eyes and firm sagging skin, which is a common problem for mature-skinned women, and diffuse the appearance of crow's feet. The Serum Primer helps makeup go on smoothly and last all day. The formula helps boost skin elasticity and give skin a lifted, firmed appearance. Almay Smart Shade Anti-Aging makeup and concealer not only fights fine lines and wrinkles, but also takes the guesswork out of finding your perfect shade. The foundation and concealer come in three shade choices, light, light medium and medium and start off white. When you apply to your skin, the products morph into your perfect shade. According to Almay, four out of five women saw an instant reduction in the appearance of fine lines and wrinkles and the products won a Natural Health Beauty Award. The formulas help moisturize and smooth skin, two major things mature skin needs from makeup. Revlon's Age Defying line is a drugstore makeup line for mature skin that contains five different products to help increase moisture, firm and smooth the appearance of fine lines and wrinkles. The products contain Revlon's trademarked ingredient Botafirm to help relax and reduce the appearance of expression lines. Age Defying Makeup is perfect for mature skin because it helps smooth fine lines and wrinkles with SPF 20 sun protection to ward off further damage. Age Defying Moisturizing Concealer hydrates as well as an eye cream and hides dark circles and discoloration, which is common around the eye area in mature skin. Age Defying Spa line is a three product range that's like a wake up call for mature skin because the products energize with vitamin C and stone therapy minerals, protects skin with SPF 18 and smoothes fine lines and wrinkles. Products include foundation, concealer and a face illuminator to boost radiance in mature skin. or eye shadow shade, but consider formula and finish if you're a mature-skinned woman. 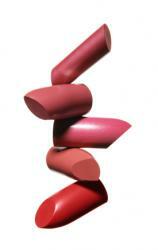 Always look for moisturizing lipsticks for a fresh finish. As you age, skin becomes much drier, especially on the lips. Nothing says I'm over 40 quite like a dried out, matte lip. Maybelline Color Sensational lipstick is a great choice for mature skin because the formula contains honey nectar to moisturize, so lips always look full and soft, a sign of youth. Also avoid using lip pencil, which can draw attention to any wrinkles around the mouth area. Since the eye area tends to sag and droop with age, take a less is more approach when painting your peepers. There are plenty of makeup lines for mature skin that will keep you looking gorgeous and glowing. Be sure to stick to rich formulas that replenish moisture and avoid anything with a dry or matte finish.